The Boston Red Sox lost their opening game of the season but since have won eight straight to take any early two-game lead in the American League East over the second place Toronto Blue Jays. That lead and the depth of the Red Sox infield will be tested over the next two weeks after the team announced on Monday that its starting shortstop Xander Bogaerts was put on the disabled list. Bogaerts joins Dustin Pedroia, Boston starting second baseman, who is already on the DL, meaning the starting middle infield for the team is injured. 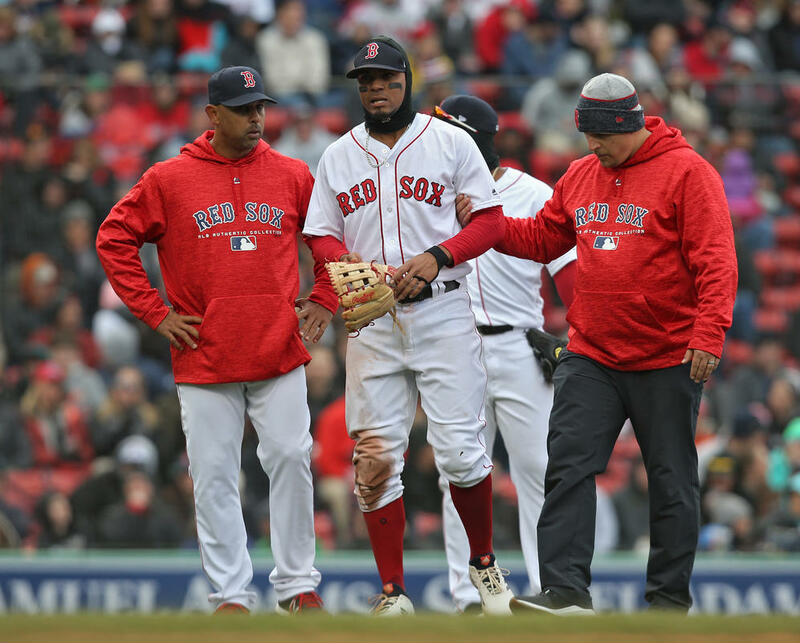 On Sunday, Bogaerts injured his ankle and Monday the team announced that his X-rays showed a small crack in the talus bone. The injury is a non-displaced fracture and surgery is not necessary, said the Red Sox, which means Bogaerts may only miss between 10 and 14 days. Since technically Bogaerts broke his ankle, his potentially missing just two weeks has to be excellent news for the team. However, his absence will certainly be felt regardless of how short his stint on the DL is. The most likely player to fill in for Bogaerts at short is Eduardo Nunez which means Brock Holt will take on the role of regular second baseman. However, that leaves the team without a quality backup infielder capable of playing second, third or short until the return of either Bogaerts or Pedroia or both. While the Red Sox have started out with 8 wins in 9 games, they have only played the likes of the Tampa Bay Rays and Miami Marlins, two teams that have won a combined five games out of 20. On Tuesday, the Red Sox open a three-game series at home against their biggest rival the New York Yankees. Not only will Bogaerts trusty glove and arm be missed at short, but the 25-year old is off to a big start to his season at the plate. Through the first nine games, Bogaerts is hitting .368 with two home runs, nine RBIs and seven doubles, which lead all of baseball. The Red Sox announced they would recall Tzu-Wei Lin from their minor league system to take the roster spot of Bogaerts. Lin, who is 24, hit .268 with a pair of triples in just 66 appearances at the plate during his rookie season in 2017.